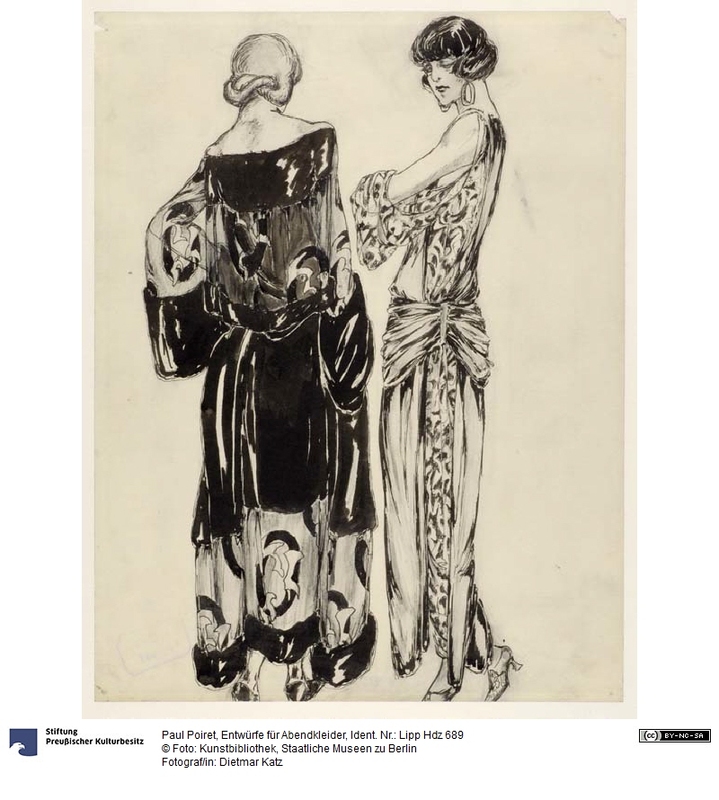 Paul Poiret is known as one of the first designers in the modern sense. In addition to his important role in evolving the Parisian fashion, changing it radically and transporting in his collections the desire for exoticism, he also became an important patron and promoter of artistic advances in contemporary art. 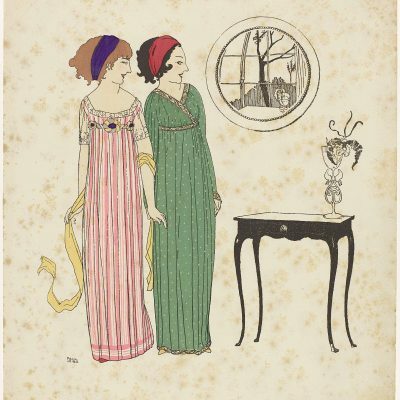 In addition to his main occupation as a fashion designer, in 1911 he began the manufacture of a line of fragrances named ‘Rosine’ after his daughter; he also opened a small art school that supplied him with drawings for his creations. 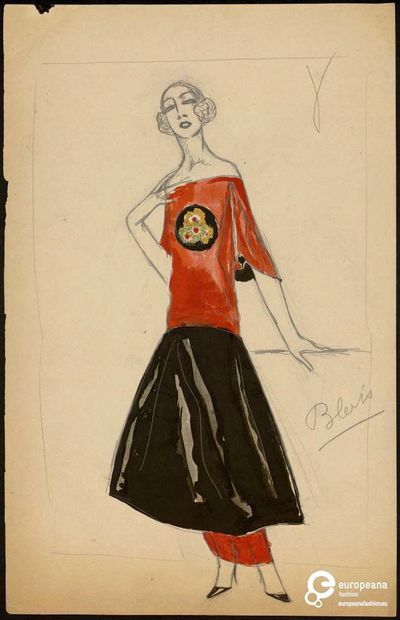 The aim of Poiret was to fade the distinctions between fashion, decorative arts and fine art, fusing in himself the figures of stylist, designer, art collector, entrepreneur and party organizer. 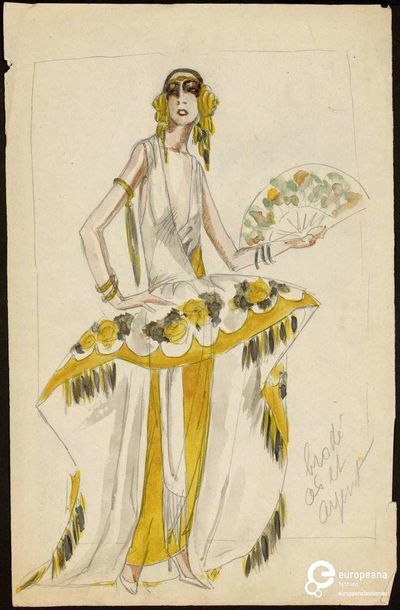 Poiret has been described as a very theatrical figure, and the theater consequently witnessed prominently in many of his activities, not only in the costumes he designed for public performances but also in fashion shows and parties that he staged in his maison de couture, and his house. He showed his high fashion collection using the garden as a backdrop, but it was also used as a venue for at least one of his many very theatrical and extravagant fancy parties. 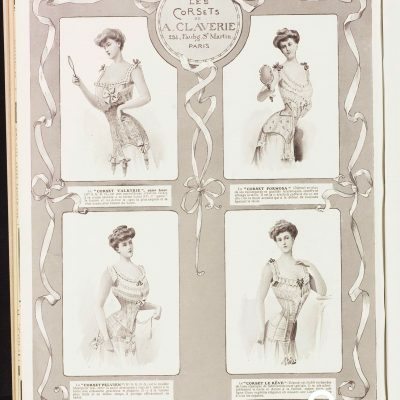 These parties, widely reported in the Parisian newspapers and copied all over the world, also bringing an extremely effective advertising for the business of Poiret. Although he repeatedly refused to confirm that his parties had anything to do with self-promotion, he was forced to recognize in his memoirs the widely circulated criticism. He presented his models in the first night party, with the mannequins moving among the guests, showing the collection in the theaters, and directing the models on the catwalk as a director treats the actors on the stage. His most famous party was held in his home on June 24, 1911 and was called “The Thousand and Two Nights” and dwarfed all other theme parties. 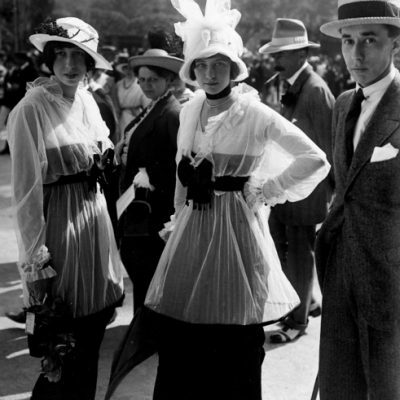 The party was used by Poiret to introduce two iconic pieces from the early Twentieth century: his shocking harem pants and the lampshade dress. The party was beyond imagination: there was a Persian orchestra, parrots on trees embellished with thousands of sparkling lights, pink ibis and multicolored pillows. All 300 guests were asked to dress in Persian-style costumes, an exaggerated and adventurous style adopted at the time by the most decadent and wealthy figures. 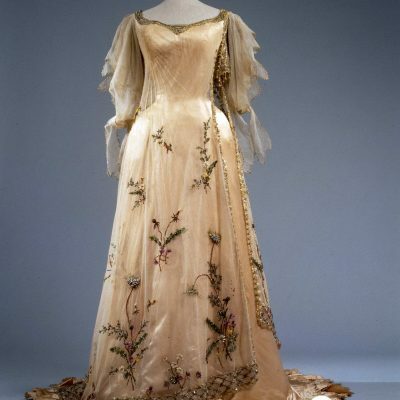 For those who did not fit in the dress code there were two possibilities’, to leave or to change themselves using the clothes designed by Poiret, with the possibility of buying them directly or renting them. 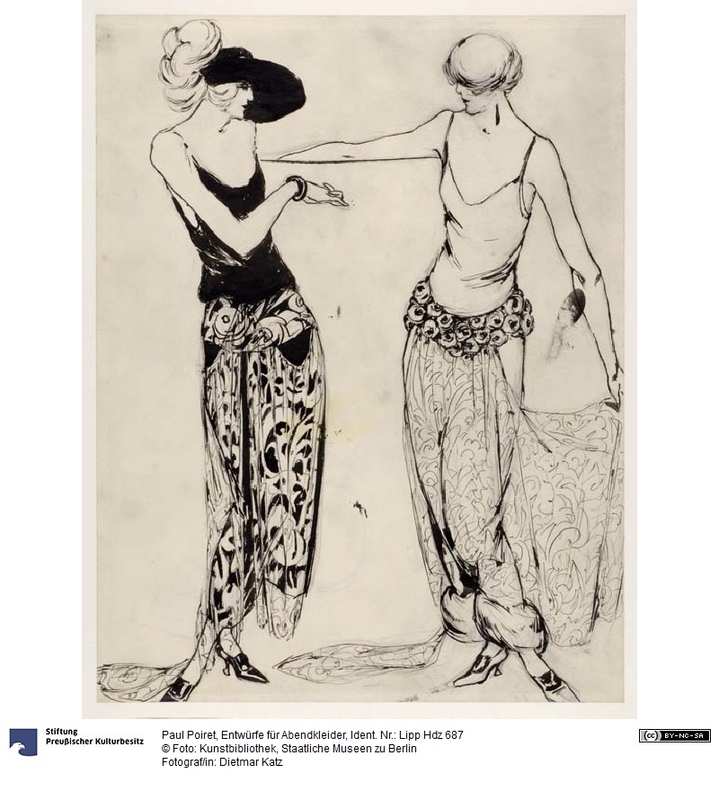 However, there was another trap: Poiret’s new designs included harem pants, that is, ‘wide pants to wear under a voluminous dress, an absolute scandal. But the guests, instead of considering this as a burden, were delighted by being the firs “fashion victims” and immediately adopted the new style.